Until the late 1980s, most of what the world knew about the infamous Auschwitz Camp came from witness testimony. But witnesses can be wrong for multiple intentional and accidental reasons. So how can we reach solid ground about the history of Auschwitz, if we cannot rely on witnesses? In the 1980s, French hobby historian Jean-Claude Pressac addressed this challenge by trying to prove only with documents that the many testimonies about mass-extermination events at the Auschwitz Camp are essentially true. In 1989, he published a 564-page book in oversize landscape format featuring reproductions of hundreds of original German wartime documents on Auschwitz that were thoroughly annotated by Pressac. 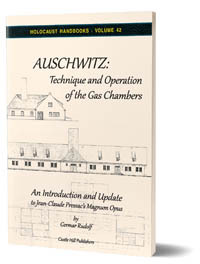 With this trail-blazing book titled Auschwitz: Technique and Operation of the Gas Chambers, Auschwitz research, for the first time, obtained a solid foundation supported by documents. Of course, research has not stood still since then. After the collapse of the Soviet Union, a lot of previously classified archival material was made accessible. This material was subsequently analyzed by a number of independent researchers. The main text of the present book gives an overview of these research results while frequently referring to Pressac’s 1989 book, which, although no longer in print, can be viewed free of charge online. Unfortunately, however, the low-resolution images of Pressac’s many documents posted online are rather unsatisfactory. Hence, a reprint of Pressac’s magnum opus was desirable, but because it has become partly obsolete due to more recent research, it would be irresponsible to offer Pressac’s statements from 1989 as the final word on the topic. 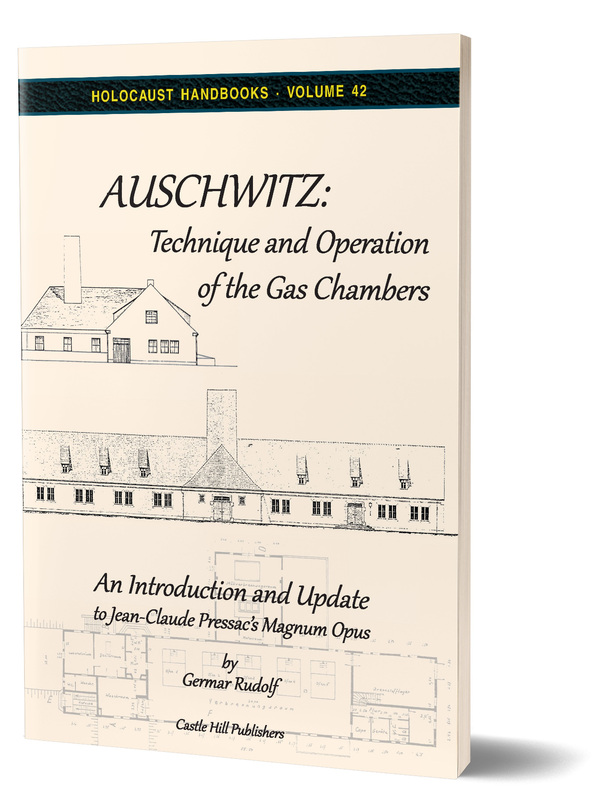 This booklet therefore aims at bringing owners of an original copy, readers of a library copy or the online version of Pressac’s book, or anyone else, up to speed with the current knowledge on document research into Auschwitz. The text of this book is also included in the reprint slated to appear sometime in 2019.